Not only is Lee Shi Tian the first player from Hong Kong to be inducted into the Hall of Fame; he is the first non-Japanese player from the whole APAC region to do so. Lee felt extra pressure on himself as he waited to hear the results of the balloting in his first year of eligibility. 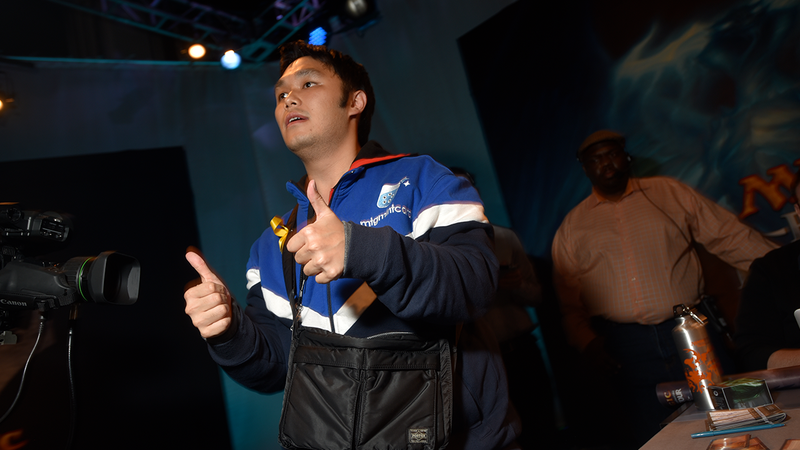 With five Pro Tour Top 8s and tremendous community contributions, he seemed like a slam dunk candidate, but he did not want to make any assumptions. In fact, he did not even know he would get a call from Scott Larabee before the announcement, however the balloting turned out. "I am the first APAC player that could be considered as a strong candidate, but I didn't have an easy way to predict my chances of making the Hall of Fame," said Lee. "I was expecting to tune into the announcement at Worlds and prepared to wait for that long. I just tried not to think about it. I was having lunch when Scott called me. He congratulated me at the very beginning of the call about the news and I wanted to shout "Yes!" but I was not able to do so as there were too many people at the restaurant. I kept myself calm and finished my lunch real quick to get a celebration drink." 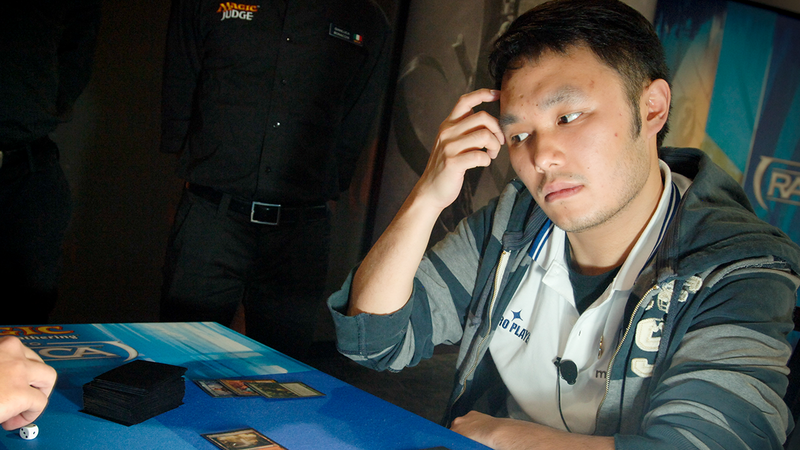 Lee Shi Tian had his eyes on the Hall of Fame right from the outset of his Magic playing career. "Being a Hall of Famer is the biggest grind-able goal for a Magic player. It was on my task list since the first day I tried to be a pro. The goals of a Magic player will normally become greedier and greedier. Once, I wanted to play in a Pro Tour. Then I wanted be a Pro Tour regular. Then I wanted to make Top 8. Then I wanted to make more Top 8s, and at the end I wanted to be a Hall of Famer. And here I am. Today the job is done." Lee began playing Magic around the release of Odyssey after being turned onto it by a shopkeeper from a store where he was spending time playing another card game. "I was hooked on Draft really quickly and drafted multiple times a week," remembered Lee, who would not step his game up to the pro level until he went abroad. "I was an exchange student in Guildford and I took the chance of going to some European Grand Prix. 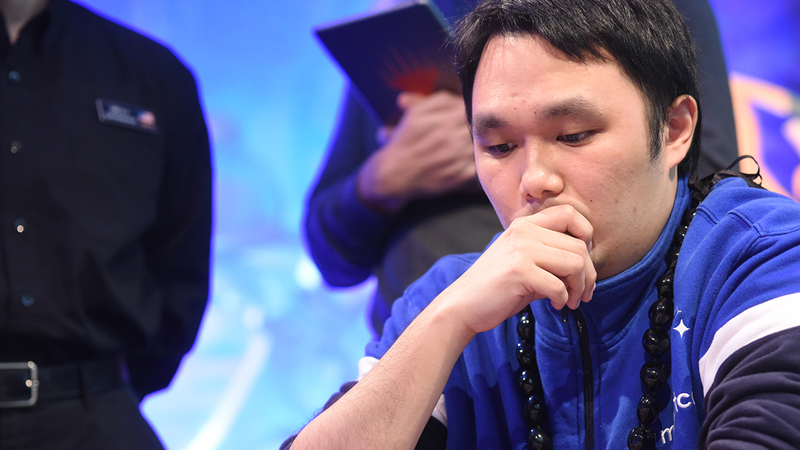 I ended up winning Grand Prix Birmingham and started playing on the Pro Tour." 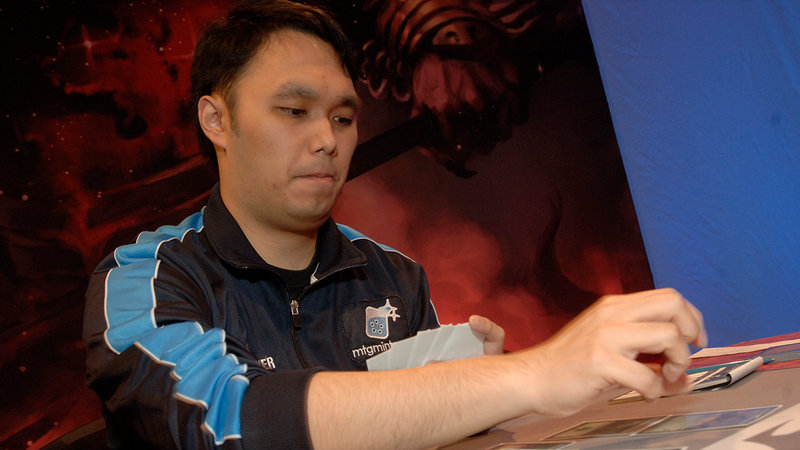 Lee's big breakthrough came when he made the Top 8 of Pro Tour Return to Ravnica, which was Modern—a format he would become known as a master of with two of his next four Pro Tour Top 8s after that coming in the Modern format. Early on his career Lee Shi Tian learned a valuable lesson from watching two future Hall of Famers battle in the Top 8 of the 2006 World Championships. "This is a story I seldom tell, but it was the first competitive video coverage I ever watched," recalled Lee. "The match was Makihito Mihara playing against Paulo Vitor Damo da Rosa. At that time I was still a casual player and rooting for Mihara to win. He made a mistake going off—miscounting one mana. He used Repeal and topdecked the third Rite of Flame. Since then I have been totally hooked on combo decks. And I learned a huge lesson from Mihara: never give up." 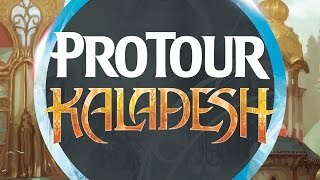 Even though his breakthrough Top 8 came during Pro Tour Return to Ravnica, it was at Pro Tour Khans of Tarkir that Lee decided he really belonged on the Pro Tour. It came at a time when there was a lot of political unrest back at home and being able to get to the Sunday stage and represent his country was a pivotal moment for him. 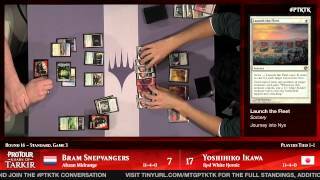 "I got some crazy topdecks to get my win-and-in match. 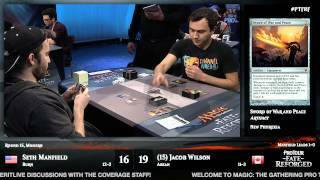 I was having a tough time at my home and it meant the world to me getting that appearance on the Pro Tour Top 8 stage. Since then I know I can represent my home and wanted to prove myself at a higher level." Throughout the Hall of Fame debate, Lee Shi Tian's community building was cited as a pillar of his candidacy—as if somehow five Top 8s would not be enough—and getting his teammates to cry is something Lee is immensely proud of. "From Christian Calcano to Yam Wing Chung to Javier Dominguez, getting people to burst into tears of joy is always the best reward of any effort," said Lee proudly. "And forming a successful testing team from more than ten countries is my biggest achievement in Magic." That team was first and foremost on his mind as he started musing about who he would thank during his remarks at the induction ceremony. 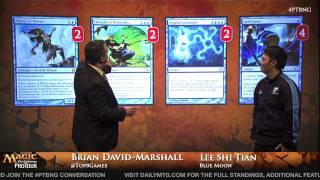 "I would like to thank the original members of Team MTG Mint Card: Chapman Sim, Huang Hao Shan, and Kuo Tzu Ching. We started the team from nothing. I wouldn't be here without you guys. I would also like to thank Tomoharu Saito; it is impossible to form this team without him. 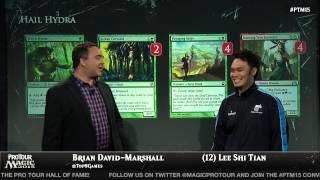 Pro Tour Magic 2015: Deck Tech with Lee Shi Tian - "Hail Hydra"
Stats are current as of the week of October 8, 2018.